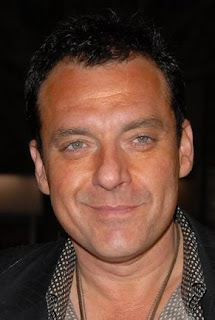 Former Hollywood star Tom Sizemore has been arrested in Los Angeles California on a outstanding warrant for drug charges.The troubled actor was taken into custody shortly after midnight this morning after police were called to investigate a report of domestic violence in Hollywood. When the police arrived at the scene, Sizemore was found in the area with a friend and after being quizzed by cops, they discovered there was a $25,000 warrant out for the star's arrest. According to TMZ.com, a police search found Sizemore and his friend in possession of narcotics, and they were subsequently arrested and booked for the crime. Sizemore has a very long police record.